Manufactures Club sits on acres and acres of pristine space in Montgeromy County, Pa. 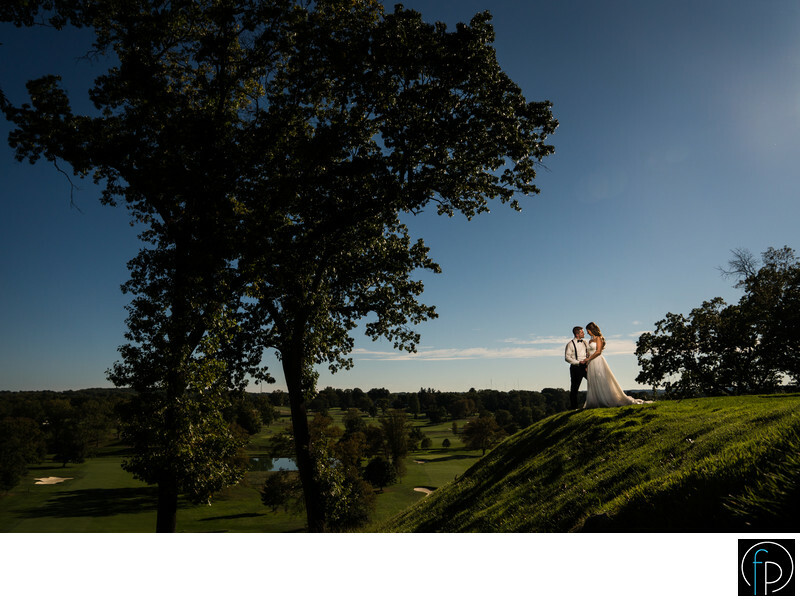 This wedding took place on a gorgeous day with barely any clouds in the bright blue sky. The greens and blues in this photo pair well with the light highlighted from the brides gown. Manufactures Club is a brilliant choice with sweeping green fairways and a stone colonial mansion.